“Three rounds of Pinaka rockets were successfully tested today,” defence sources said, adding some more trials were expected to be conducted on Friday. On January 30 and 31, 213 seven rounds of Pinaka rockets were tested from the same base. Pinaka, which has undergone several tough tests since 1995, has already been inducted into the armed forces. Thursday’s test was conducted by personnel from Armament Research and Development Establishment (ARDE), Pune unit at Proof and Experimental Establishment (PXE) firing point-2 at Chandipur, the sources said. “The MBRL, capable of acting as a force-multiplier, has been developed to supplement artillery guns,” a defence official said. Pinaka is an area weapon system with a range of 40 km. The quick reaction time and high rate of fire of the system gives an edge to the army during a low-intensity conflict situation, he said. 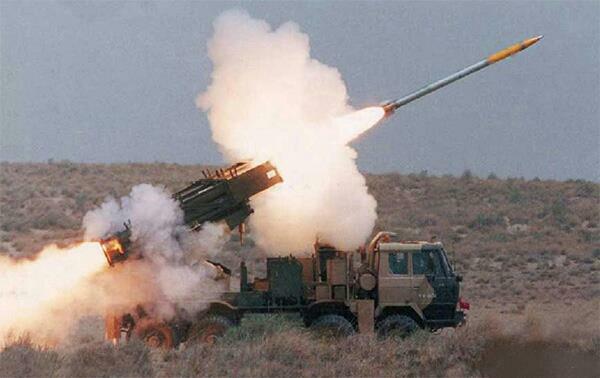 The unguided rocket system is meant to neutralise large areas with rapid salvos. Pinaka system can fire a salvo of 12 rockets in 44 seconds, the sources said, adding that the battery of six launchers can neutralise at a time a target area of 3.9 sq km. The system’s capability to incorporate several types of warheads makes it deadly for the enemy as it can even destroy solid structures and bunkers. Posted on March 1, 2013, in Army, Geo-Politics, missile tech. Bookmark the permalink. Leave a comment.